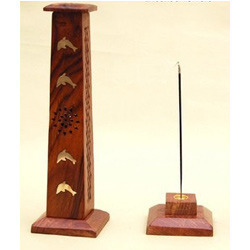 We offer a broad range of optimum quality Wooden Incense Burner Towers to our valuable customers. Manufactured in compliance with the prevailing market trends, these burners are highly appreciated for their rich features such as trendy design, lightweight, appealing appearance and durability. 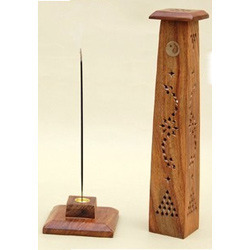 The best possible quality of the offered wooden incense burner towers is never compromised. We manufacture and export high quality Incense Burner Tower. Offered by us at affordable prices, these wooden incense towers are highly demanded for their aesthetic pattern, lightweight and eye-catching appearance. 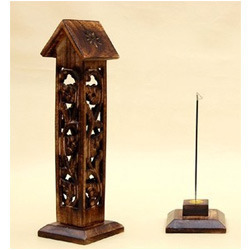 These incense towers offered by us are manufactured from high quality wood that is sourced from certified vendors. Due to our vast experience and in-depth knowledge of this domain, we have been able to offer high quality Wooden Incense Towers to our valuable customers. These towers are known their mesmerizing design, unique pattern, lightweight and appealing appearance. The rigorous quality assurance checks conducted by our team of quality controllers ensure that the premium quality of the offered towers is never compromised. Looking for “Wooden Incense Burner Tower”?